I had no idea that Salvador Dali lived (and worked) in Monterey in the 1940s. Apparently he was also an early Carmel Art Association member. What a treat of an exhibit! As always, we log all of our adventures in our “Play” Journal by Stealth Journals. “Play” is an indexed book journal that should be used to record all of your good times! Just digging some Abstract Expressionism at the Birmingham Museum of Art last weekend. Dale Chihuly installations. A date night in Atlanta. One gorgeous walk. As always, we keep an analog version at home of all of our travels. We use “Play,” by Stealth Journals. “Play” is an indexed book journal that should be used to record all of your good times! 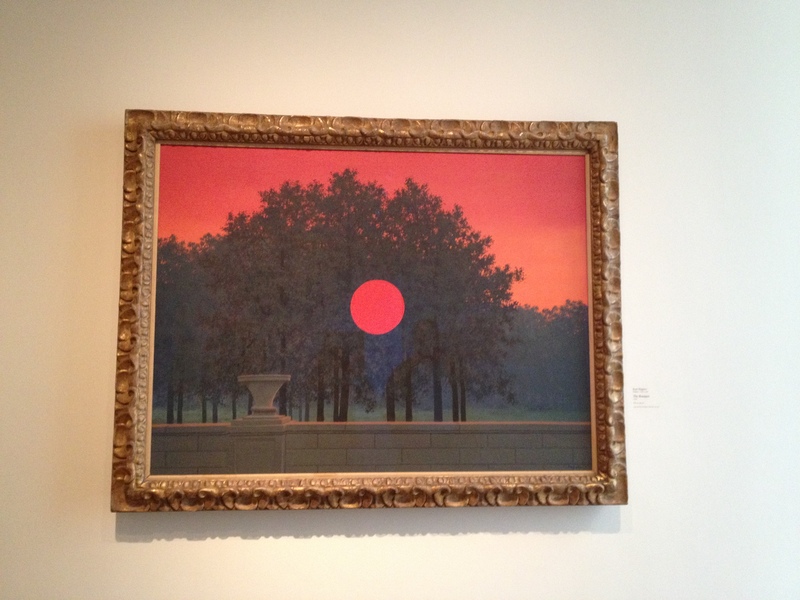 The Art Institute of Chicago – Where it is Always Halloween? 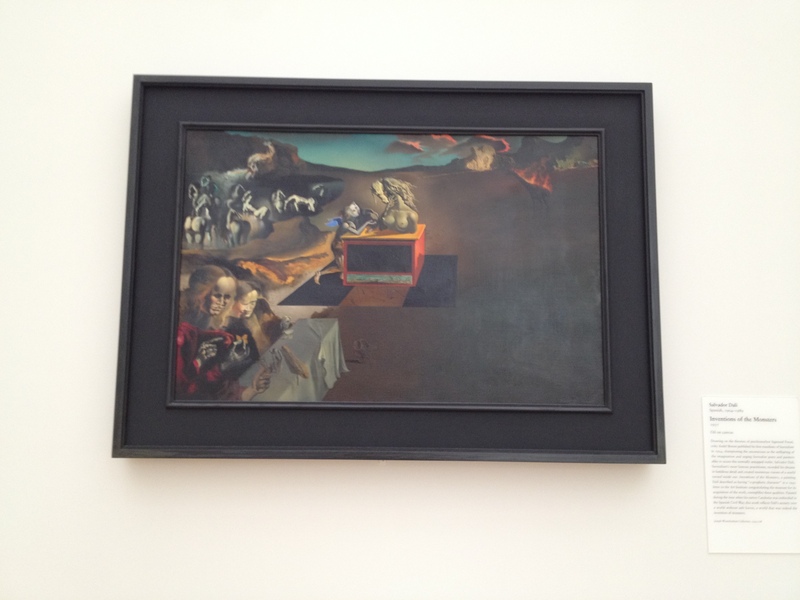 I was at the Art Institute a few weeks ago, and for some reason, all I saw was death. Dig the “Jesus is Lord” decal on the upper left (rear). I knew it was a death car as soon as we walked in the room. Why else would it be here? 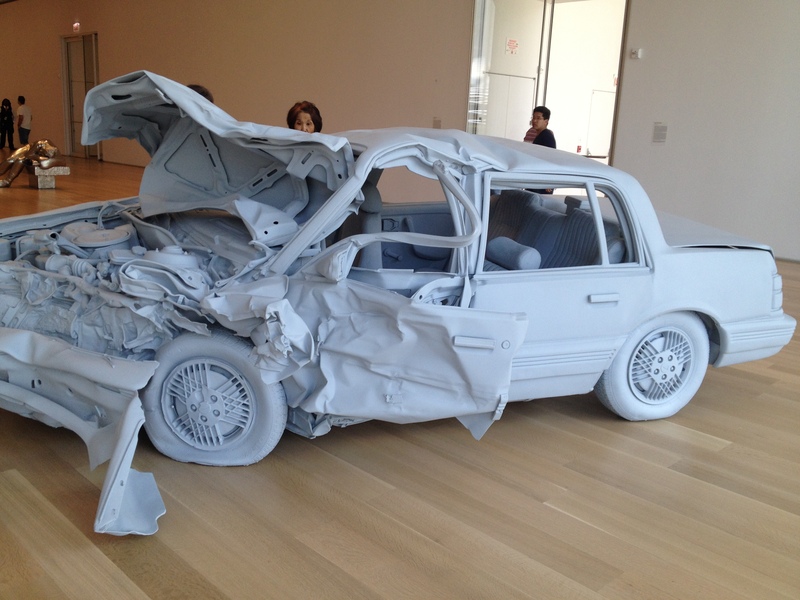 Thankfully, it wasn’t the actual car, and what we were seeing was an exact replica cast in fiberglass. We walked around the car, and even though I knew I wasn’t looking at anything “real,” I still felt really screwed up about it. It was an exhibit, and it was put here to be observed and talked about, but it feels sort of wrong to talk about. Yet here I am. I don’t know who the driver was. It would almost make me feel better somehow to know, although I don’t know why. It wouldn’t change anything. Maybe the message is that death is faceless, nameless. A force that will one day come for each of us, and all that will be left are shells of materials around us. We won’t be here anymore. That message taken at face value is macabre and ominous, and totally depressing. But, it doesn’t have to be. There’s no sense getting down about a fact that you are powerless to change. And in that letting go, is freedom. Besides, only empty soulless people even believe in death. It is a change in circumstance, to be sure. But it isn’t real, you know. 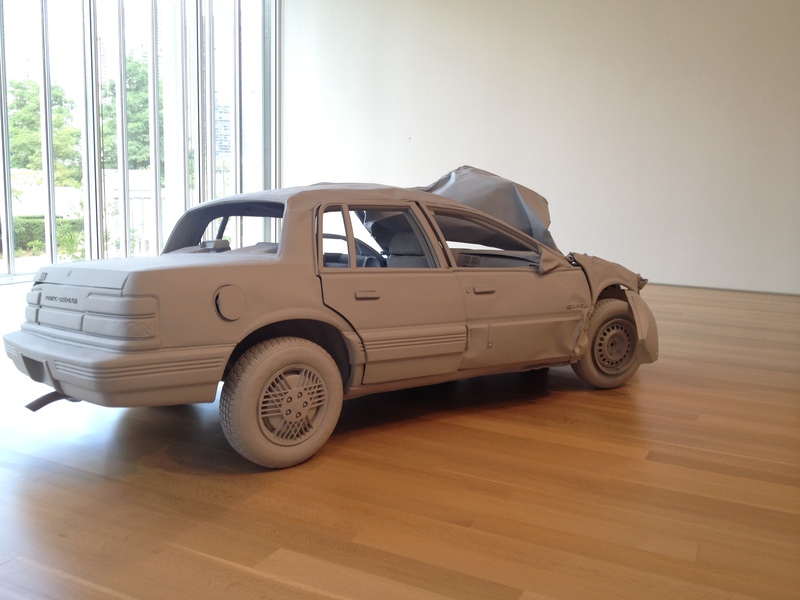 The artist could not be reached for comment, but the placard on the wall said: “After studying automobiles that had been involved in fatal collisions, Ray eventually chose a wrecked 1991 Pontiac Grand Am that he felt held the presence of its dead driver.” Is there a ghost in the machine? I don’t know, but I’m sure it happens. The scene was uncomfortable, as though I was having a glimpse of something private, something that no other human being was meant to see. 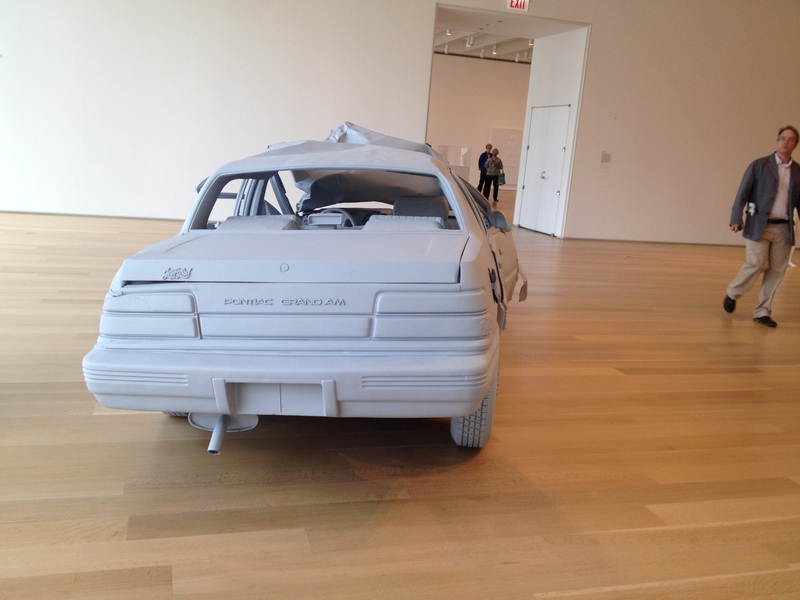 “Unpainted Sculpture” was not a permanent exhibit, but the remaining images that continue to haunt me are. No further explanation is needed. 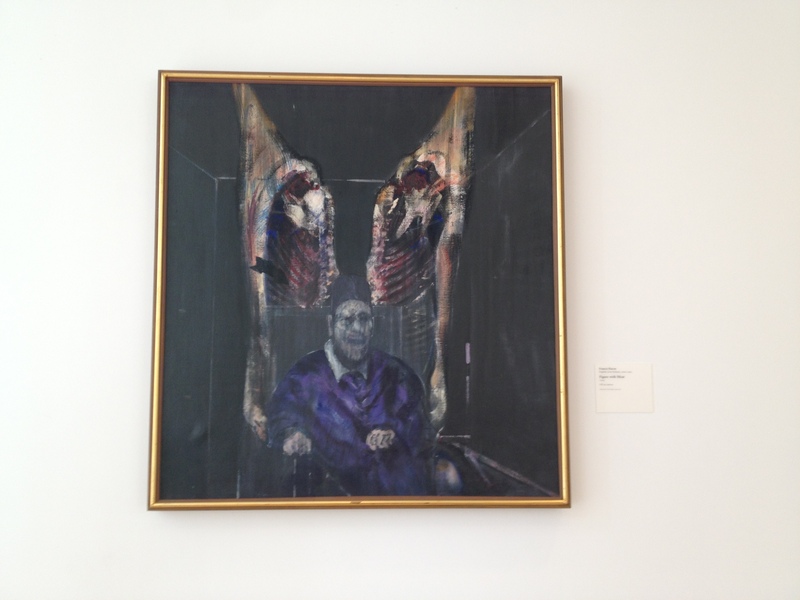 This is very similar to the first Bacon painting I saw (in Des Moines, of all places). The guy made Halloween art, plain and simple. It looks like something that should be hanging on the wall of a haunted attraction. How he ever got himself into museums, I will never know. This fact proves that many artists are famous for shocking the conscience rather than for creating anything of substance beyond the shock. Fascinating, but totally weird. Interesting factoid – Seligmann authored a history book about the occult (The Mirror of Magic), and was readily acknowledged by the Surrealists as an expert magician. I’m going to steal a phrase from Bob. When we were out in Bisbee, Arizona, he called that town Beetlejuice on Drugs. That’s what I call this painting. I’m not saying it isn’t interesting or thought-provoking, but it creeps me the hell out. Does it mean you have slipped away into Freddy Krueger’s Dream Land, or that you are dead, sleeping the ultimate sleep? 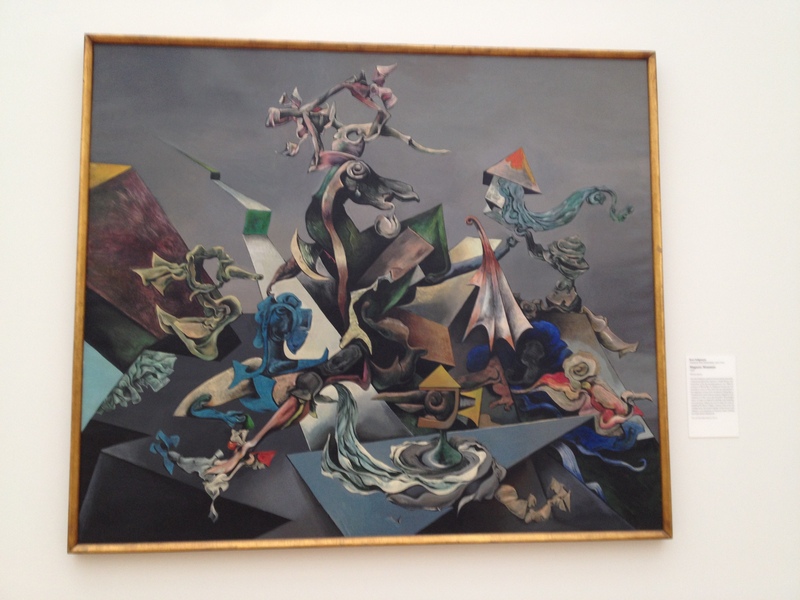 You can always count on Dali to put together something that will totally rock what you think the world is. He tapped into his dreams, churled them around, and came up with his image of a world without a safe haven. What I want to know is – was he actually the great prophet of the modern age? This one is less obviously macabre, but macabre it is in fact, still. 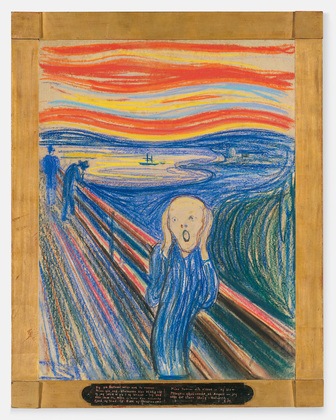 I saw his “Gare Montparnasse” painting at the MOMA last year, and was blown away. 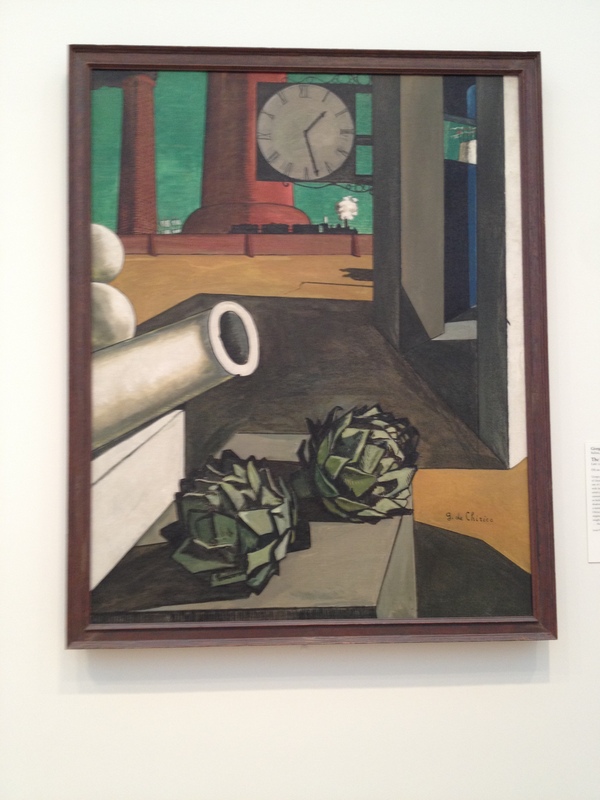 The artichokes are nutty, but he has the clock and the train again, which we know are symbols of death. I love this one. 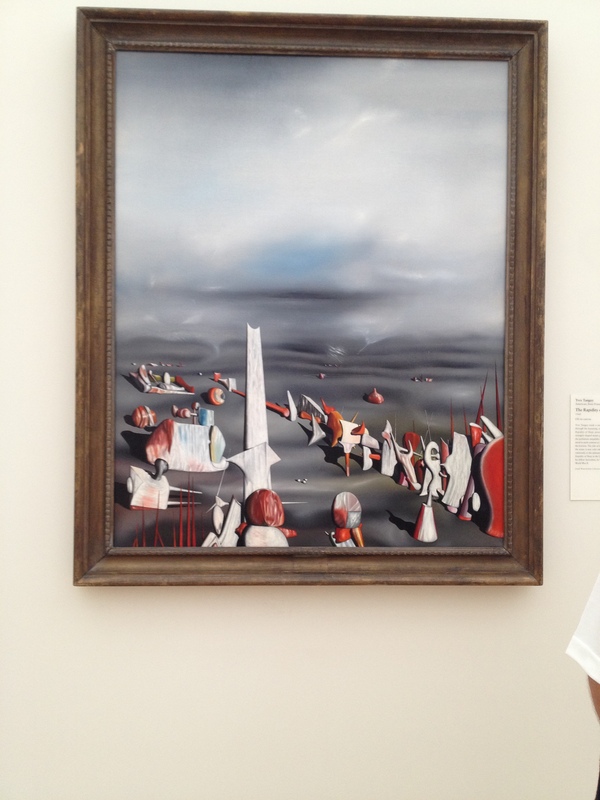 Although, the more I look at it, the more convinced I become that I am standing inside the painting. The scene is a crumbling European castle full of royal vampires, and they have just arisen from their coffins because the sun is now setting. They’re coming to get you, Barbara. Wait! That line is for when the zombies are coming, not the vampires. Sweet dreams. Happy early Halloween! Labor Day found me fighting for a place amongst a crowd at the Museum of Modern Art. I like to walk with my elbows protruding up around my shoulders. Correction – I do not LIKE to, it is just sometimes necessary so that others know that I am not amenable to them getting free rubs. Moving on. I did get to see Starry Night and Persistence of Memory. The former was impressive because nothing you see online does it justice. The reason is because none of the photos capture the actual swirls in the paint. 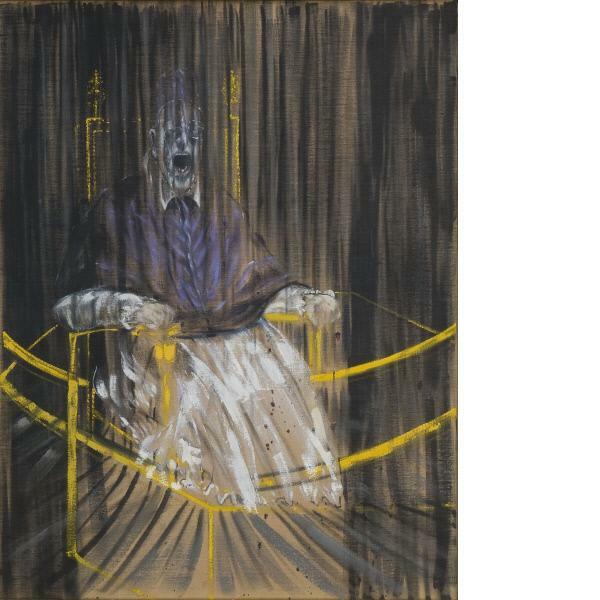 I probably appreciated this painting more than most because I thought about poor tortured van Gogh sitting in his little asylum cell in Saint-Remy and looking outside at the sky to paint this image. This is the first time I have ever actually seen lasting evidence of insanity in art (in person). The swirls are manic, and they impressed me with their blatant craziness. The latter was cool for novelty, but honestly there was nothing gained by me from in-person viewing. I am very aware of time and how it will kill everything and leave rotting decay in its path. 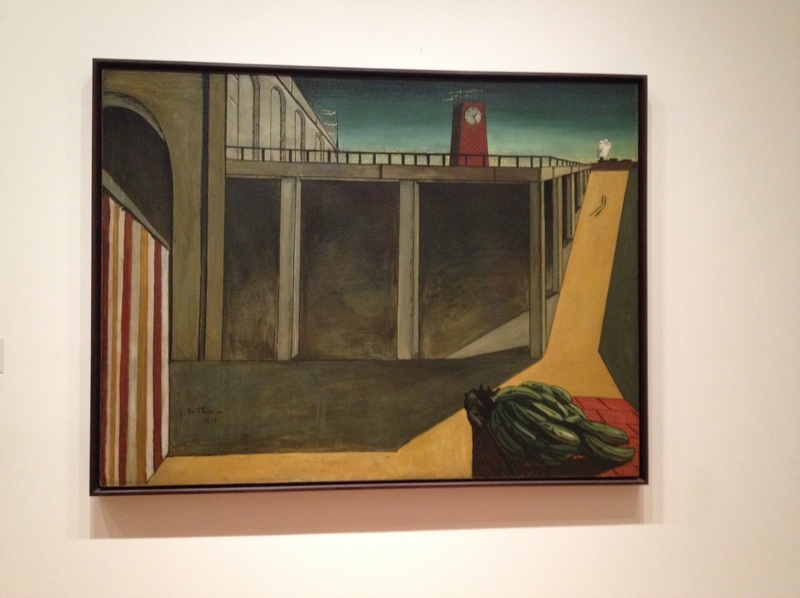 The real surprise show-stopper for me was Giorgio de Chirico’s Gare Montparnasse (The Melancholy of Departure), 1914. The very title alone made me stop in my tracks. The Melancholy of Departure? This guy was brilliant. I always just called it a vacation hangover. But the way he writes it, you can be melancholy over your departure whether you are going home or leaving home. Montparnasse was a real train station where Chirico lived in Paris. The critics like to debate about what the bananas mean and call out his skewed sense of perspective, since he is making the wind blow from both directions – as evidenced at the top where the flags are going to the left, and the smoke from the train is going to the right. Let me tell you what I think about all of this. The bananas don’t mean anything. There is clearly a circus tent to the left of the painting and he is telling us that the earth is populated by a bunch of monkey clowns. This is more evidence of the Great Emptiness. We are all living (or escaping from if we are smart/lucky) our own nightmares. There are things all around us (like bananas) that just don’t mean squat. We have to navigate around all this meaningless crap because we are fighting against the clock always to find meaning and purpose. But there is no meaning or purpose in the Great Emptiness! It’s a cosmic joke. Earth is hell. Surprise! And the train? The train is empty. When the clock runs down the train comes for you and you alone. There is no conductor, no other passengers. Just an empty black train. That’s what I think he was trying to say. He died in 1978 or I would call him up and ask him. Be sure to keep all of your adventures logged and indexed in your very own copy of “Play,” by Stealth Journals. “Play” is an indexed book journal that should be used to record all of your good times! I am a little late with this posting. 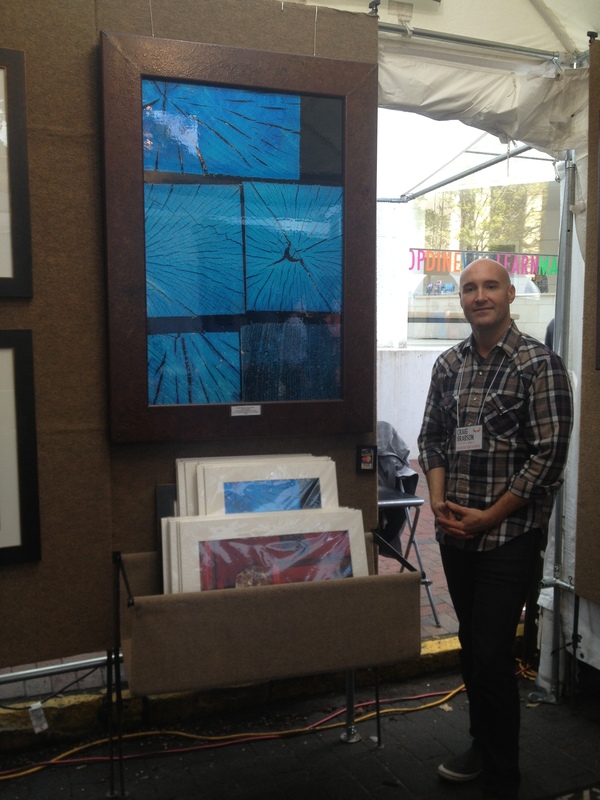 The 19th Annual Telfair Art Fair was held November 16 – 17, 2013 in the Telfair Square outside the Jepson Center and the Telfair Academy. Bob and I perused the artist booths on Saturday afternoon. When we heard the term “art fair,” we tempered our expectations going in. I should have known better since the Telfair was involved! No, this was a real deal fine art event with around 80 artists specially selected to showcase their work. I was particularly intrigued by three artists on scene. Maybe it was the writer in me, but I was struck by these images. 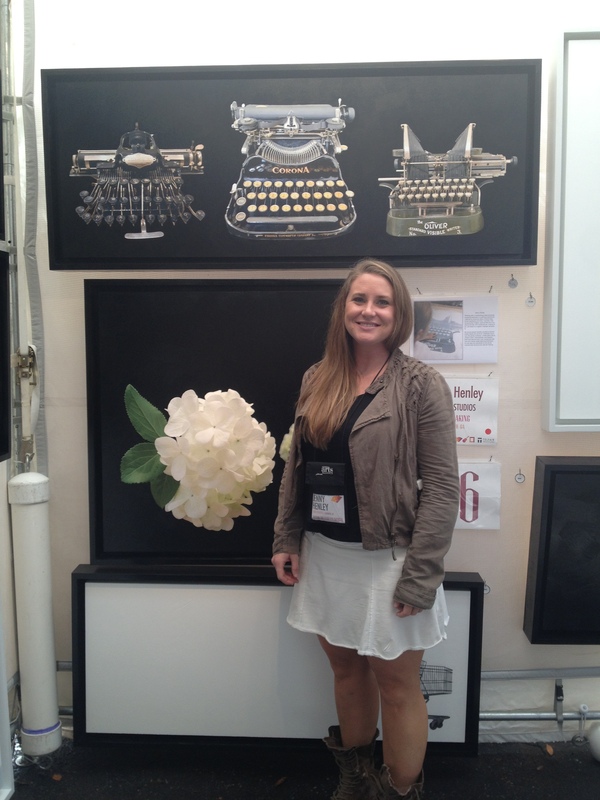 I must have totally been getting it, because Jenny was kind enough to answer a few of my questions and said that the typewriter “is a beautiful piece of equipment that is responsible for so much growth in modern technology.” Right on, Jenny Henley. I didn’t know it at the time, but now I think I feel the same way about the typewriter as I feel about aviation. My two most favorite things to do – write and travel. A self-described storyteller who was born and raised on the Southside of Chicago, Clifton’s work grabs your imagination and pulls you into his scenes. The door series (one of which is pictured below) was the image that first caught my attention. The idea being conveyed is one of unknown opportunity. You never know what is on the other side of the door until you open it and come out on the other side. The idea is inspiring enough, and certainly one that we can all relate to at some point in our lives. Seeing the idea captured in an image makes it particularly powerful and thought-provoking. Do we stay where we are, or do we dare go through the door even if we don’t know what is going to come? It could just be where I am right now in life, but I loved these doors. There comes a moment in life (or at least for me that moment came) where you take stock and weigh your options. Maybe a moment of clarity finally comes. Peace came upon me. I don’t know what is waiting for me on the other side of the door, and it doesn’t matter anymore. I can’t stay here. I’m going through. There are no guarantees that what is on the other side is going to be immediately better, but it will be different. And sometimes that is enough. A “I don’t know where I’m going, but I can’t stay here” moment. You don’t know, but you jump anyway. And then you are free. I knew this guy was special the first time I saw him. I wanted to buy Blue Timbers, and probably just should have. I need to work on my art patronage. Perhaps after that second book sells….. But I digress. 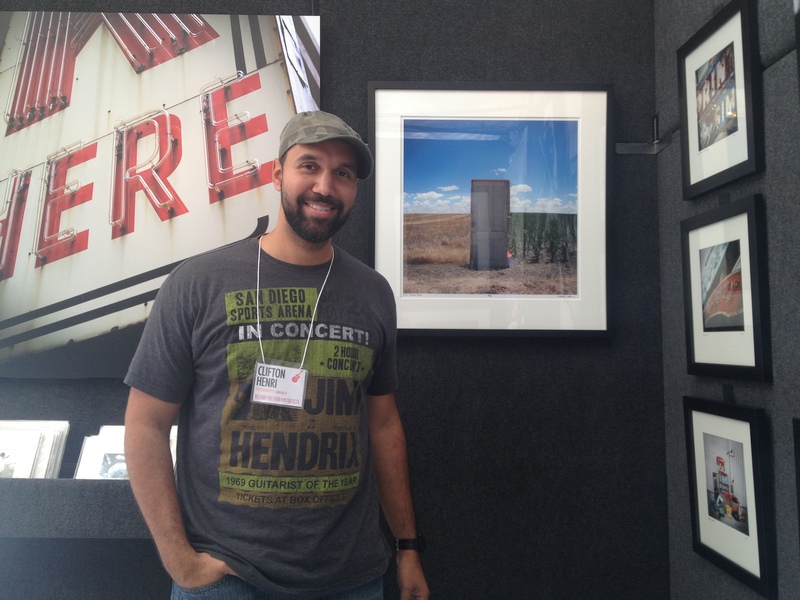 Craig is a gifted fine art abstract photographer, who showcases the beauty in ruin. Think old pieces of wood from a sawmill somewhere in Alabama. A rusting door perhaps, as shown in Aquatic. 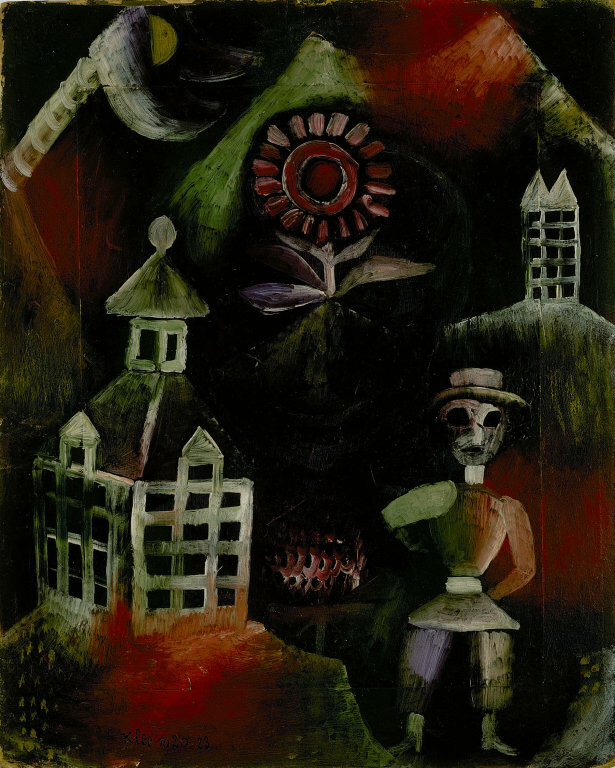 His work struck a chord with me because it reminded me so much of the scenery I saw while traveling and exploring the subjects of Haunted Asylums, Prisons, and Sanatoriums. I just love the concept of documenting and preserving the historic ruins throughout this country. That is not all he does, but that is my particular favorite genre. Maybe, there is hope for me as a photographer yet. 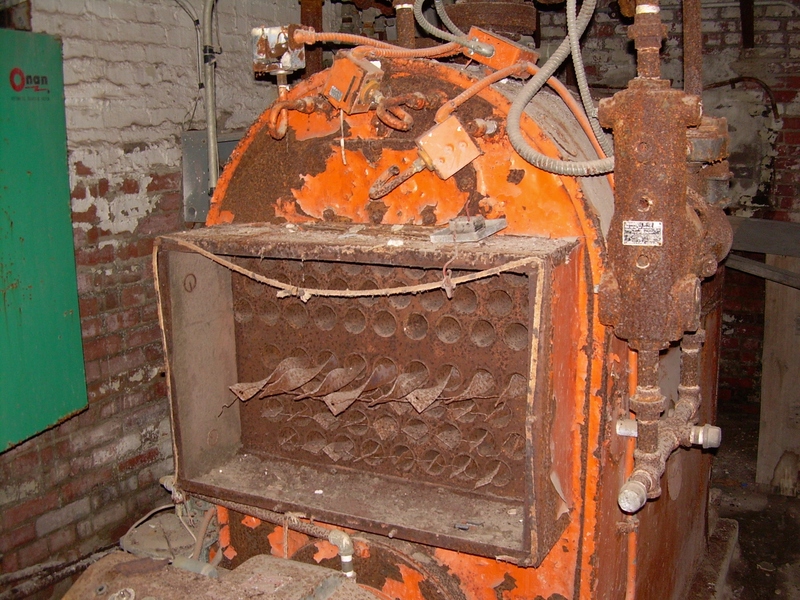 I did capture an orange rusting boiler in the basement of an old poor farm in Illinois last year. However, there is a gnawing knowing inside of me that tells me it is just not quite the same thing. 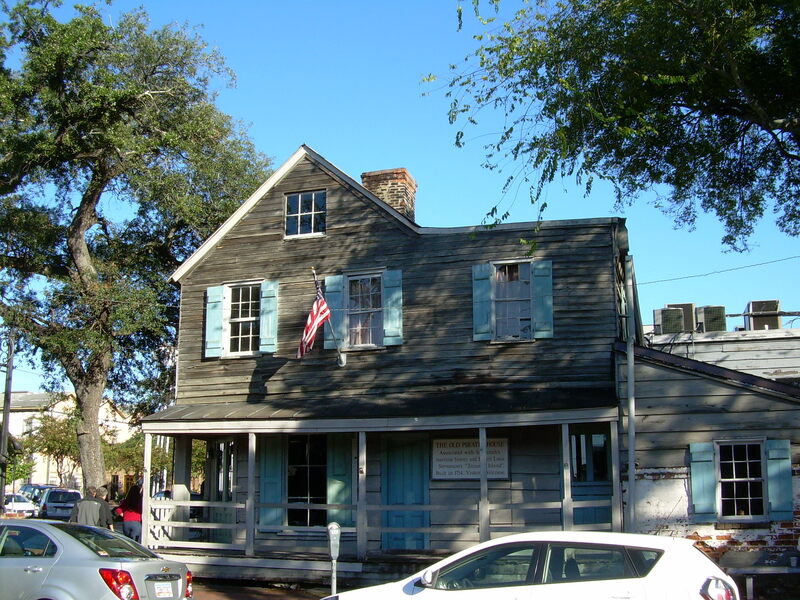 Savannah’s 1820 yellow fever epidemic wiped out about 660 people, but the lime in the paint may have kept mosquitos out of many homes (which spread the fever). 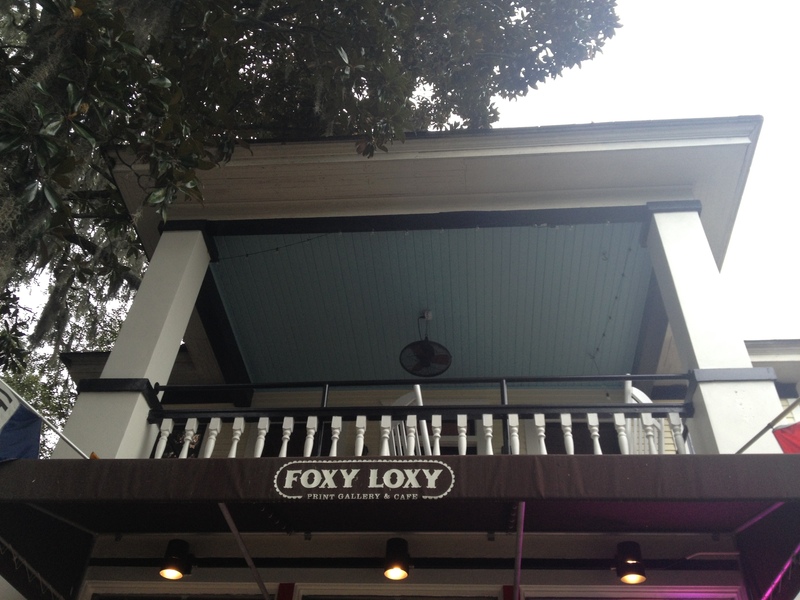 Tonight, we were frequenting a local coffee shop, and lo and behold the ceiling was HAINT BLUE! As we were waiting in line, the cashier heard us talking about it and informed us that the ceiling was intentionally painted that color for the specific purpose of warding off ghosts! A compilation of more art that reminds me of Halloween for some reason. The Museum of Contemporary Art of Georgia is definitely on the list of “Top Things I Ever Spent $5 on.” The museum is part of Tula Art Center, a self-described hidden treasure (agreed) in Atlanta’s Buckhead neighborhood. Bennett Street is also home to the Atlanta Photography Group Gallery. For some reason, this exhibit just sprang to mind tonight. It must be that Halloween is in the air. Richard Scott Hill created some of the best Halloween art I have ever seen. I don’t think that is what he was doing, but to me, it is perfect Halloween art. 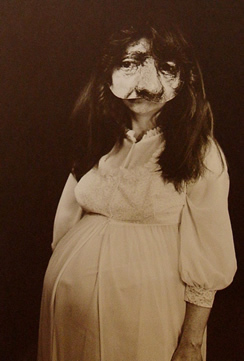 Hill took self-portraits of Rembrandt and then cut the eyes and nose out and pasted them onto images of other people. It is brilliant and hilarious and disturbing all at once. I love it and think it is just so wildly creative. 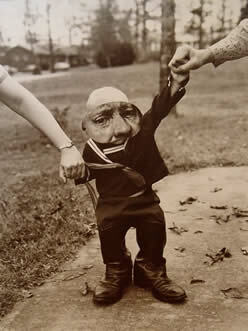 His images actually remind me of the book Miss Peregrine’s Home for Peculiar Children. The expression of Rembrandt pasted on the pregnant woman could actually be very close to her real facial expression. This is the most true to life example. Next, we have the toddler. A toddler acting or appearing as an old man kills. Every time. Think of the baby commercial where he is talking in his grown-up voice when he finds out that riding the dog is “apparently frowned upon in this establishment.” It kills me, it really does. 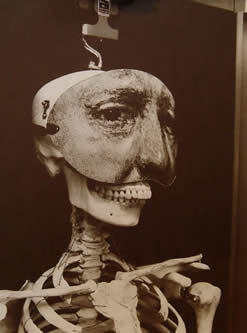 Lastly, we have a skeleton with a face. Need I say more? He actually looks happy to me. He could practically join the animated cast of Nightmare Before Christmas.